Walk/Bike/Places 2018 is expected to draw 1,500+ city planners, transportation engineers, public health professionals, elected officials, community leaders, placemakers, and professional walking and bicycling advocates, and we are now making our final call for proposals to present at this year’s event. We’d love for you to join us to share your expertise. But act quickly, there is only one week left to apply! The 2018 conference, which takes place this September in New Orleans, is about a whole range of topics at the heart of placemaking, like Streets as Places, Place Governance, and Equity and Inclusion. Walk/Bike/Places will include a “Placemaking Day,” a pre-conference event on Sunday, September 16th, as well as a placemaking track with multiple breakout sessions, and larger “Super Sessions,” curated by PPS. We want placemakers to shape this with us! Why join us this year? We have a lot to learn about great places in New Orleans—one of the most beloved and culturally vibrant cities in the US. Our host city will help us understand how great streets, shared spaces, historic architecture, and other elements of the built environment play a key role in creating a unique sense of place. Equally, we have a lot to learn from New Orleans about community. Not only is New Orleans known for its rich history and strong roots, it is also known for exemplary and progressive grassroots efforts to address social issues, like poverty, health care, housing, and recovery efforts from natural disasters, not to mention access to transportation. As we often say at PPS, streets are the stage where life unfolds. From town parades and trick-or-treating, to markets and public gatherings, they’re where we celebrate and come together with our neighbors. We see this exemplified in New Orleans, too. 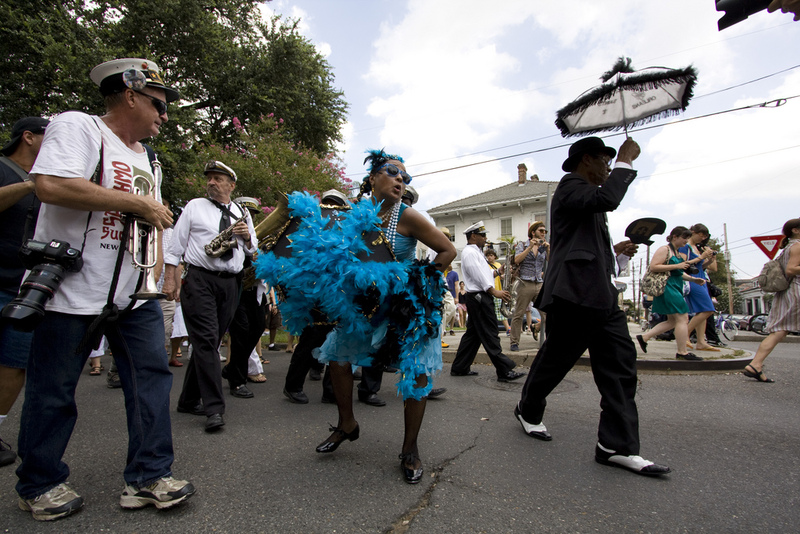 Take the historical tradition of Second Line parades, an iconic cultural institution that takes place on Sundays in the French Quarter, but also in communities throughout New Orleans. Organically formed and community-led, these marches through the street began as an a post-funeral event, and continue to this day as a form of celebration around the city. For more information on the Call for Proposals, please take a look at the guidelines and application on the Walk/Bike/Places website. The deadline to submit proposals is Friday, February 2nd @ 8pm EST. Submit your ideas for “Placemaking Day,” Sunday September 16th, to ekent@pps.org. We look forward to receiving your submissions, and we hope to see you in the Big Easy this September. Don’t delay, start today!